I continue to undertake the occasional translation job from French or Italian. You will find a list of my published translations below. ‘The People-Image: the political philosophy of Georges Didi-Huberman’ by Ludger Schwarte and CW. ‘Phasmid Thinking: on Georges Didi-Huberman’s method’ by Emmanuel Alloa and CW. Francesco Benvenuti,The Bolsheviks and the Red Army, 1918-1922, CUP, 1991. Carlo M. Cipolla, Between History and Economics, Blackwell, 1993. Florence Dupont, Daily Life in Ancient Rome, Blackwell, 1993. Piero Camporesi, Exotic Brew. 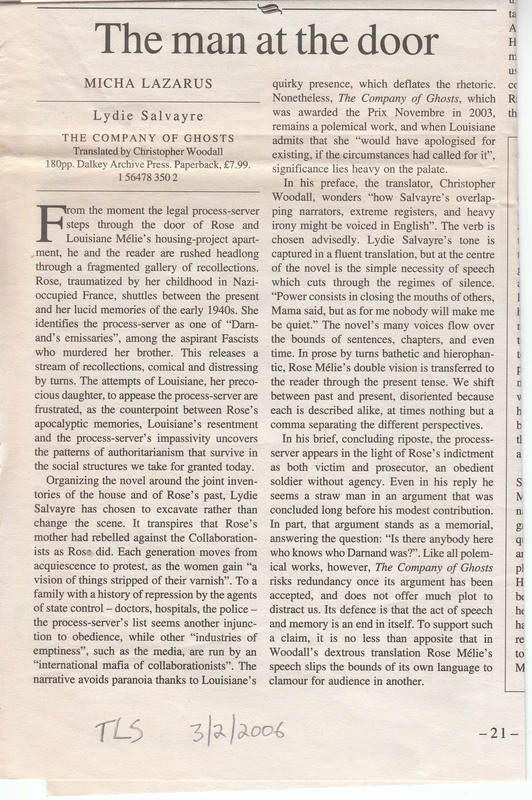 The Art of Living in the Age of Enlightenment, Polity, 1994. Mario Perniola, Enigmas. The Egyptian Moment in Society and Art, Verso, 1995. Roger Chartier (ed.) Correspondence. The Uses of Letter-Writing in the Nineteenth Century, Polity, 1997. Serge Berstein and Jean-Pierre Rioux, The Pompidou Years, 1969-74, CUP, 2000. Massimo Carlotto, The Colombian Mule, Orion, 2003. Massimo Carlotto, The Master of Knots, Orion, 2004. 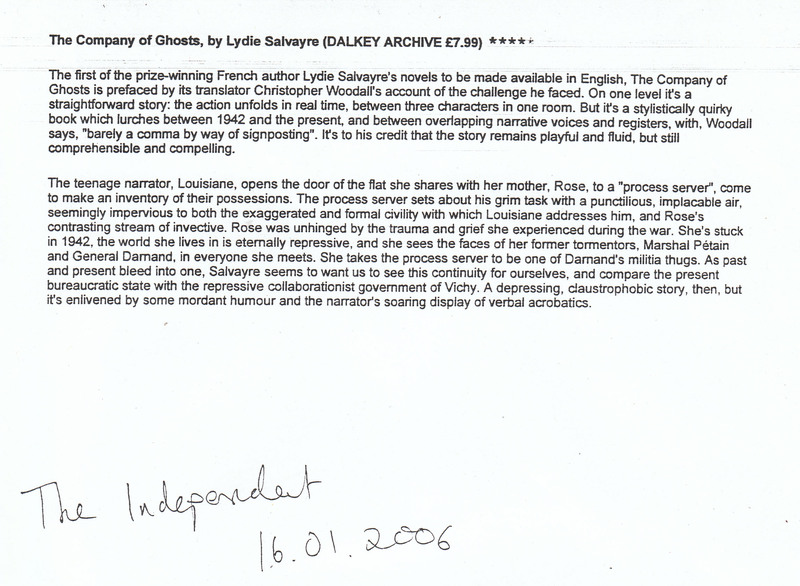 Lydie Salvayre, The Company of Ghosts, Dalkey Archive Press, 2005.